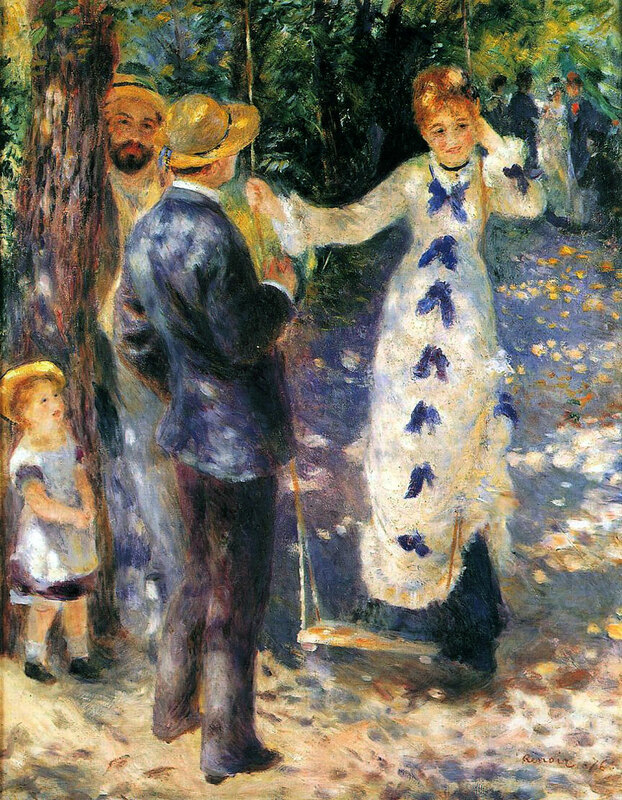 This entry was posted in Art, Movies and tagged a, A Day In the Country, Charulata, Film, France, Impressionism, India, Jean Renoir, Jean-Honoré Fragonard, movies, painting, Pierre-Auguste Renoir, Rococo, Satyajit Ray, swings. Bookmark the permalink. I love Fragonard, and the wonderful Fragonard room at the Frick. But this up-the-skirt shot has always puzzled me. The knee and lower leg that is farthest from the viewer does not appear to be attached to the rest of the woman’s body in any logical way. I’d love for someone to outline the anatomy supposedly hidden by the billowing petticoats and show me I’m wrong. 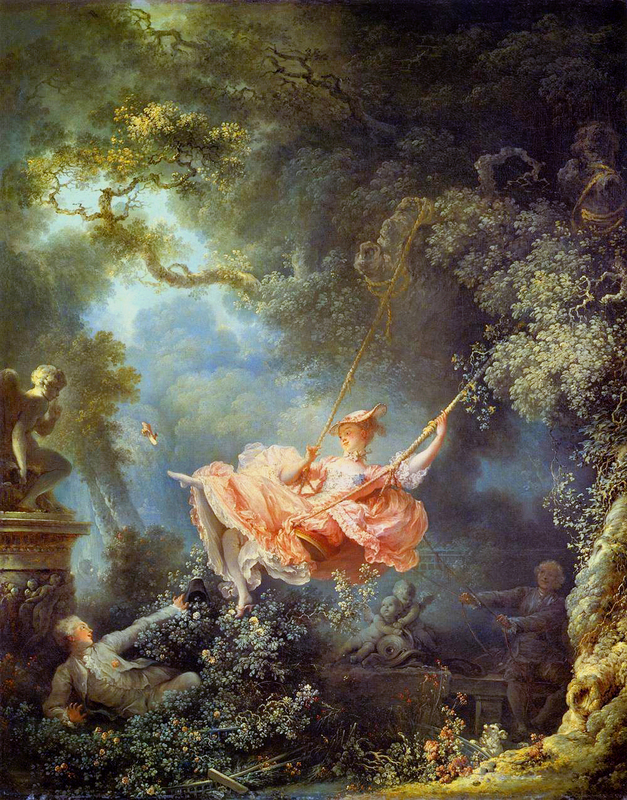 I can’t imagine the that Fragonard, who was so otherwise brilliant, would make a rookie mistake like this without a good reason. Definitely seems odd once you focus on it. I’m guessing it was a compromise intended to preserve the line of the girl’s body and left leg while also allowing us to see the right leg up to the knee. Chart-toppers by Katy Perry and Miley Cyrus had music videos where “girl swinging” was the main visual. Before that… “What’s Up” by 4 Non Blondes shot some scenes on a playground, including a swing set. Anything from the ’80s? Nothing is coming to mind for iconic scenes in either movies or music videos. Admittedly this isn’t an exhaustive survey of “the swing” in Western culture, but it’s odd how all of these examples come from periods of falling crime rates — the Enlightenment, Victorian, Midcentury, and Millennial. Perhaps something about an increasingly safer world making people appreciate women engaging in an innocent, cutesy, almost kiddie activity. Who knew kiddie activities would be such a hit with grown-ups? Katy Perry would look better bringing back the pogo stick, though. The oddly haunting “swing” scene from The Thin Red Line..